Program: Development of an urban,transit-oriented, mixed-use region of about 1.5 million square feet of office space, housing and retail as a basis for a master plan and new development plan. 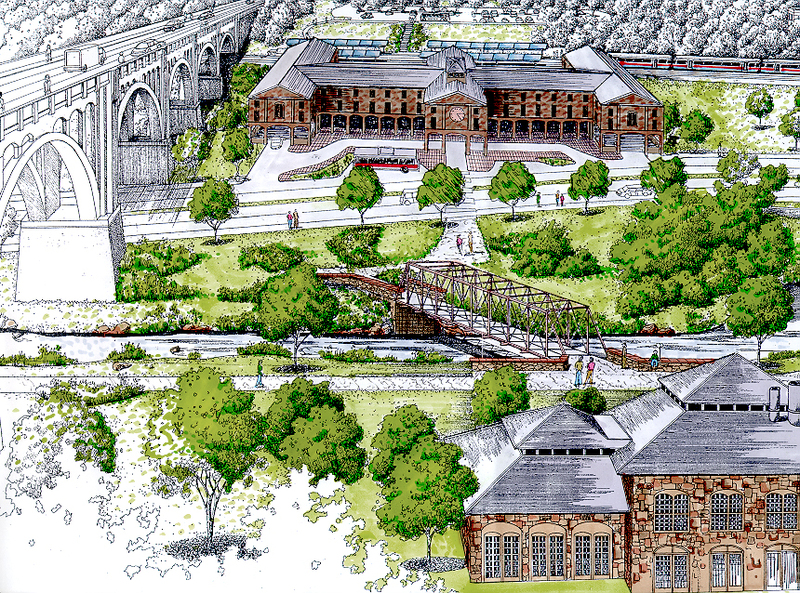 Design Approach: The 123 acre brownfield site is located in the heart of historic Phoenixville with the business district immediately south of the site and is subject to environmental remediation and special flood control measures for the French Creek. 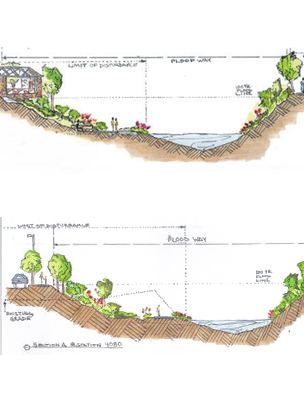 Development will be reviewed by the PA Department of the Environment and FEMA. The Philadelphia based transit authority SEPTA plans to open a new rail line to Reading with a station on the site. 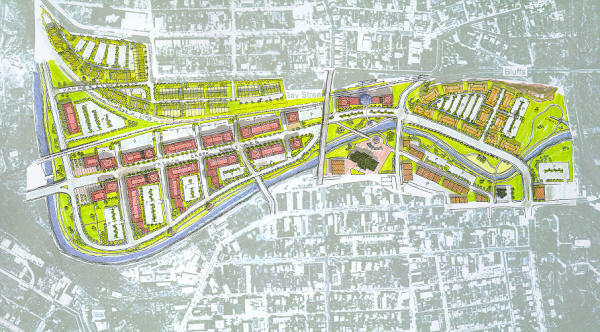 The design concept is developed around the notion of creating a new towncenter, an extension of the commercial district, the development of a greenway along the French Creek and the celebration of the industrial past as well as the natural features of the site such as bluffs and the water. 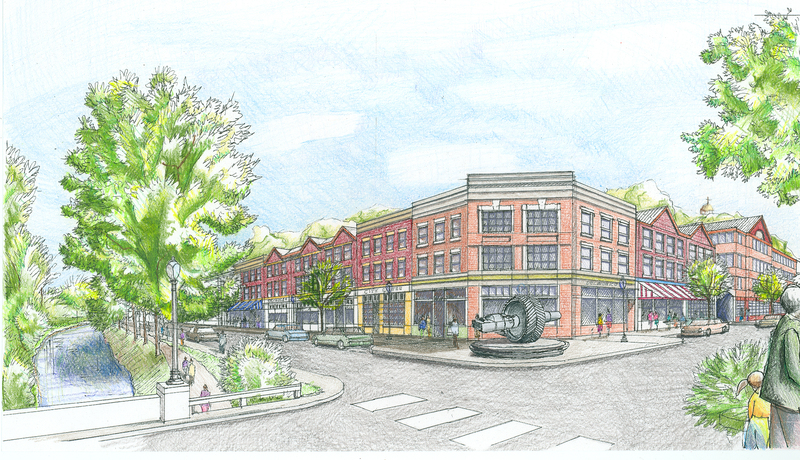 ArchPlan's design is developed from the goals and objectives prepared by a community task force and a stakeholder charrette conducted in the first third of the planning process, which created consensus on planning goals and concepts. The approved masterplan includes 500 housing units, 800,000 sq ft of office space and about 60,000 sq ft of retail. 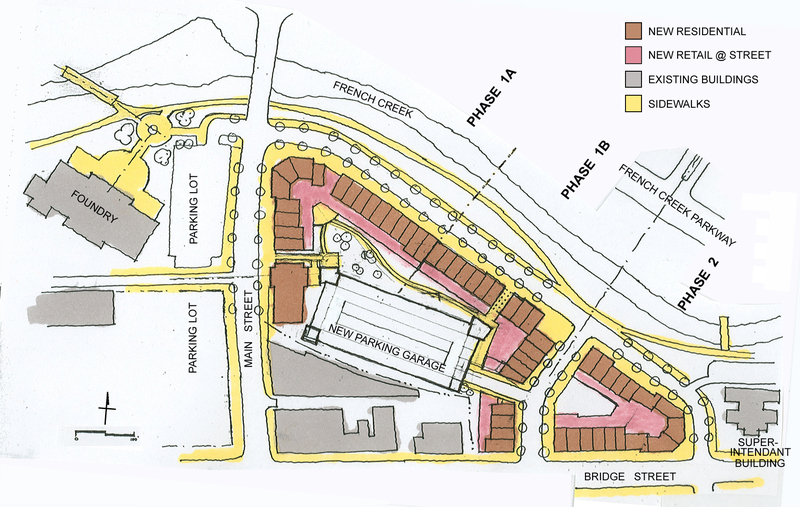 The Borough also adopted a Unified Development Overlay prepared with the assistance of ArchPlan. Responsibilities: ArchPlan works as the urban design and planning consultant for the site owners, the Phoenix Property Group. Other consultants include civil engineers, remediation experts, traffic engineers and land use lawyers. 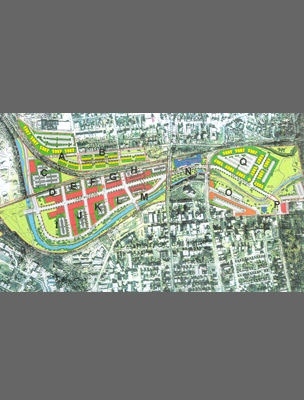 ArchPlan’s scope of work includes the overall design, community participation, review of Borough zoning, assistance in the preparation of a new Unified Development zoning code, preparation of greenway design, and coordination with the Borough and other consultants.